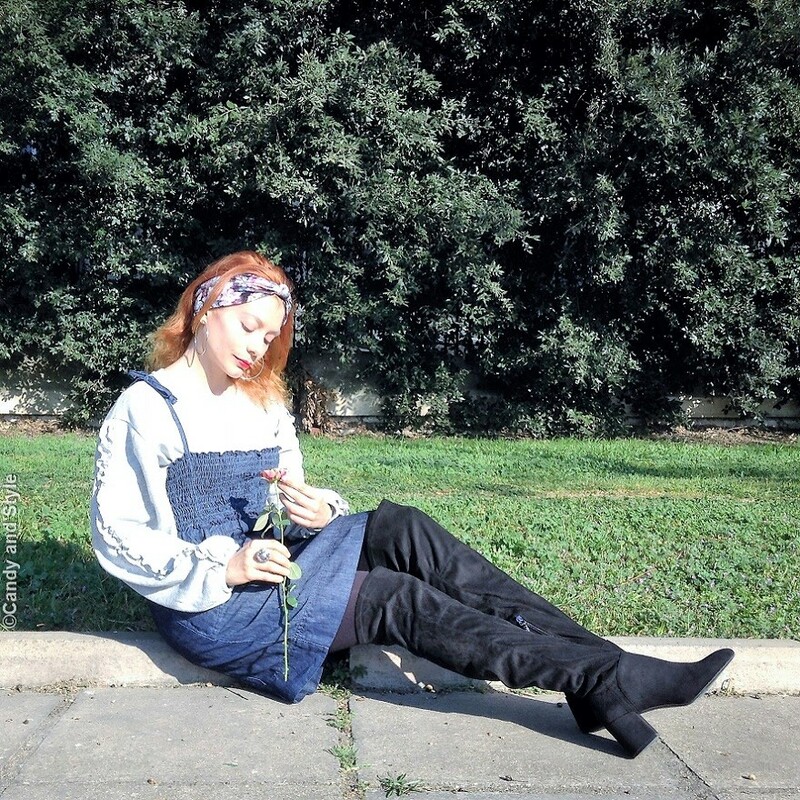 Questo vestito in denim è delizioso! Stai bene con la fascia tra i capelli! So pretty and feminine dress Lilli. Your hair colour stands out in the white. Looks great! Delizioso l'abitino, hai creato un layering molto romantico... belli anche gli stivali! A great way to wear the ballon sleeve trend. Also the denim dress is great. For sure you can wear this dress at summer without the sleeve. I like the flower headband in your hair. The dress is cute and I like the sweatshirt! Great to see that the sun is out... wish it was the same here. 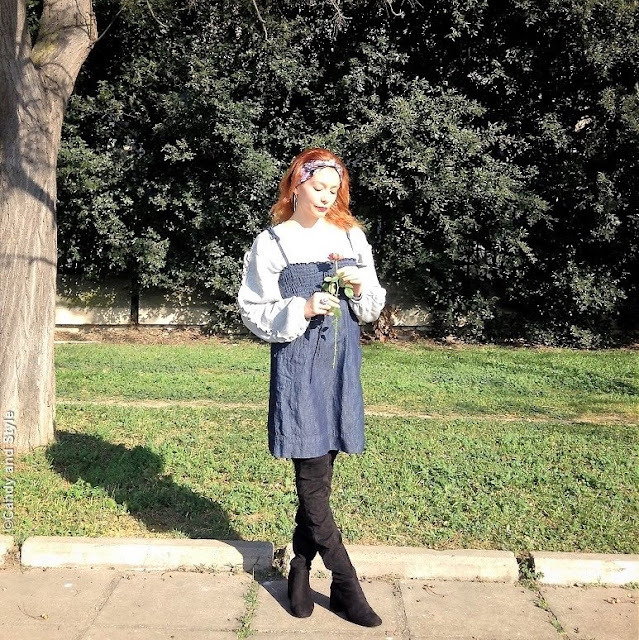 Sei bellissima con questo look! Splendida! 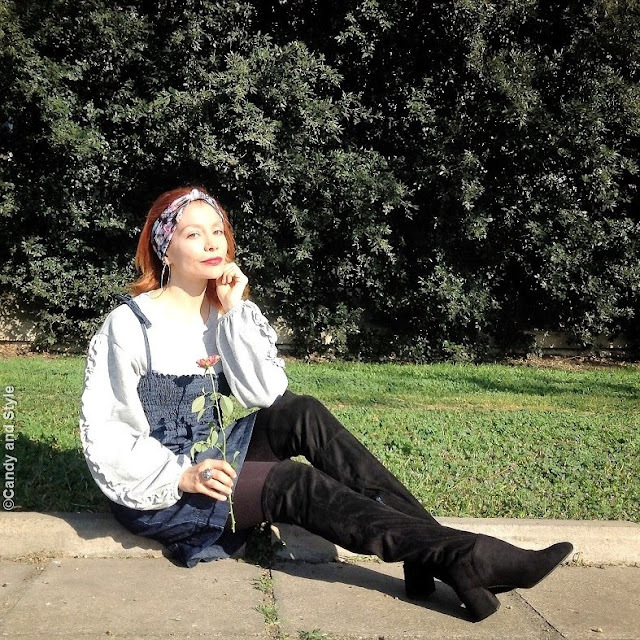 You are rocking this look Lilli! And I'm totally loving the on trend details of the balloons sleeves and shirred dress. Hello Lilli, it is a very loving dress, I have always liked that honeycomb effect that is worn on the chest, in addition the denim is one of my favorite fabrics and you look great with that dress, perfect! Oh I love how you styled it with the headband / bandana :) You looks lovely as always, dear Lilli :) Hope you still remember me. Nice street style look! Cool OTK boots!